Tickets will be on sale next week, for a single descent the price is 10 euros, for 3 the price is 20 euros. For a single descent for two adults and two children the cost is 30 euros. If you don't want limit s and want to use the slide as many times as you want, the price for an adult is 45 euros. It's a fun way to spend the weekend in the hot, sunny Lisbon city, splashing, laughing and sharing with others. If you visit the city on that weekend don't forget to splash and slide in Parque Eduardo VII. Ohhhh and don't worry if you are not in town around that time, in June 20, there's another event thanks to Urban Splash. Tickets to the event range from 12.50 euros (two runs in the slide, a kit of water balloons for a "mega battle" and a water pistol) and 50 euros (unlimited access to the waterslide all day) . Families with two adults and one child pay 30 euros and are entitled to two runs per person. The initiative includes music, food, animation and a "mega war of water balloons." 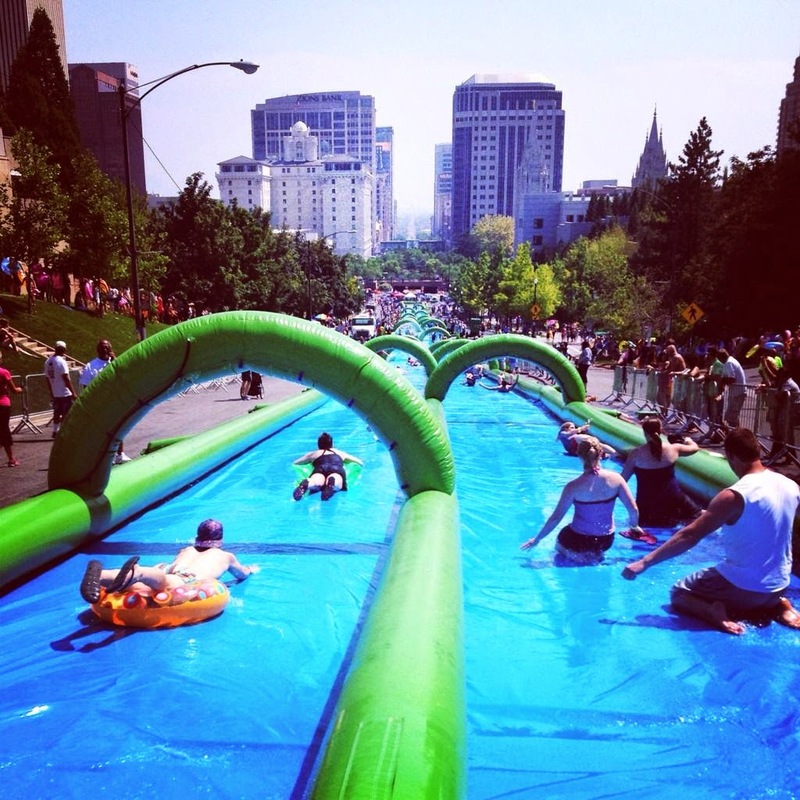 The minimum height to participate, as in City Water slide, is 1,20metros. The slide of 500 meters in length will be installed at Rua Major Neutel de Abreu, from the Marist School of Lisbon and Benfica Road, from 10am to 19h of June 20 (Saturday), and may extend to Sunday.